I managed to raise the funds I need to meet Mikel Merino's release clause and now he has no interest in joining us. He had a slight interest before but it's because of our rivalry that he doesn't want to join. How did everyone else manage to sign him? Is it just timing? Having another go at it, original DB, but going to try and make more of our youth than last time out. No first transfer window as half the guys I want rid of start injured anyway. I have an ideal squad in mind for 2nd season, but given it involves 3 guys with £150m combined release clauses that I'd want to loan back to Benfica who knows. Anyway, I've gone a bit mad on staff. Cleared out about 90% of the people who joined since the start of mediocrity (May 2013), brought in an entirely British & Irish staff to replace them and fill the gaps: Also Rod Ruddick, scout, from Southampton. The game which saw Al-Ahly clinch a 5th successive league title,bet their fans enjoyed that! I didn't say "less urgent", but standard pressing on balanced mentality, coupled with tighter marking and get stuck in. People often believe that Atletico play with high pressing because they defend aggressively, but that aggressive defending is achieved primarily to tighter marking and hard tackling in combination with vertical compactness (plus counter-press), which reduces the playable space for opposition. Atletico's lines are very close and compact, which is key to their successful defensive performance. This FM profiles do not always reflect real-life facts, even though they tend to be correct for the most part. So don't follow them blindly. resolved++ Extreme lag since new update on nvidia gforce driver update! I have tried Jimmy Wong's solution but have another issue that hopefully someone may be able to advise? I try to select FM19 as a program but Football Manager 17 (fm exe) appears as the program to customise. I try and add FM19 as the program which appears as Football Manager 2019 Touch 19.3.4 - 1206437 (staging) but as soon as I select Football Manager 17 (fm exe) APPEARS AGAIN. It seems I am unable to choose both FM 17 and FM19 for this solution as 17 seems the default? Thoughts appreciated. “Curiosity is, in great and generous minds, the first passion and the last.” You're probably thinking,why has he done this post.Well the cup is over and in the Cup review their was a team called Ceramica Cleopatra FC so I was curious to how a team I've never come across managed to make it as the competitions biggest under achievers. When I took a look at them,I found out I could have a very big problem in the future. They are a second division team,to put it into comparison, these are mine. To make it worse when I was looking into why they have so much money,I checked their landmarks to see if there had been a takeover,only to find they have never had a takeover.If they ever get out of the second division then they could be a massive thorn in my side. Exactly, it seems like some people think that a player with 1 in finishing wouldn't hit the earth if not for gravity. However, 1 is the minimum expected from a professional footballer. The same goes for the other stats, some seem to think that a balance of 1 means the player is likely to fall should a slight breeze flow through the stadium, never mind playing at the Britannia, the player wouldn't be able to stand up! I'v been playing in @Jimbokav1971's challenge for goalkeeper goals, and no one in there have had issues with goalkeepers missing that many pens, as far as I have seen. Of course, there are the odd missing streak, but, and this is without checking anything at all, I think I've seen about a 80% scoring rate for my goalkeepers throughout my saves. And I've not seen much difference when I've had outfield players taking them. Super unlucky with the ending of last season - hopefully you'll be luckier this time round! I've made quite a detailed edit to the previous post, so to those of you who have read it already, you might want to have another look. teams are unable to be in parent competition because parent comp is not playable competition. If teams are not relegated to 'certain' divisions - the game moves them according to geographic location afaik. Thanks Coca Cola FC aren't doing too well,they were relegated from the second division in 21/22.Finished 2nd in their first season in Division 3 but won't be able to finish higher than 7th this season. Great progress with Qena B.W.G and good luck in the Cup Final! Out of interest, how are Coca Cola FC doing? He's an absolutely lovely player. He's also still a fair way off his potential, which is rated very highly even at international level. Eventually, he'll become cheaper once his wage demands go beyond Porto's budget, but if we buy now we can tutor him. Playing the transfer market in this save is interesting. We've got loads of money in the bank, but it's very difficult to sign anybody. The calibre of player we need has wage demands well beyond our budget and players who've already made it into the top leagues are reluctant to play in a weaker league. So far, we've managed to keep a reasonable lid on wages but the Benfica business model needs transfer fees to sustain it. April 2024 Fixtures League Table Manager's Thoughts An absolutely fantastic month as we won all five games and all of them in convincing fashion,even in the 2-1 win over Zamalek,we could have had more goals as we had twice as many shots they did.After the defensive disaster class which was March,I made some changes to player roles,the wing-backs are gone and I'm using inverted wing-backs,in central midfield,I was using BBM-DLP,that is now BBM-BBM.I've made some changes in attack,the inside forward role is now a winger role and up front is two AF's instead one of advanced forward and a poacher.Overall I'm very happy,picked up maximum points,progressed to the cup final,scored 19 goals and conceded 4. Into the last month of the season and we play four games,the Egyptian Cup final and three league games.In the cup final,we will face Zamalek in the final which means third and fourth will qualify for the Confederation Cup as 5th place can't catch us so we will be go on a African adventure next season.In the league we will face Al-Gaish,Pyramids and Masr El-Masaka.Pyramids will be the trickier of the three but they have been under performing this season so I don't see why we can't finish off the season on a high.I would like to win the cup but even if I don't then there is always next season. Eventually, any team you manage will be a powerhouse. The AI simply cannot keep up. It is inevitable. Isn't it a journey to get to your dream team? This is demonstrating that whilst you have a "goal" in mind you may not be able to apply it (and be successful) straight away and being adaptable to the players you have available and the patience to allow players to develop whilst working towards your goal is sometimes needed. Youth Training - an experiment So far in this save, I have tried to build a type of player for my first team. I have brought them into the first team and developed them into role that fits in to my system or developed my system around their role. What I haven't done is looked at how they develop from when the enter the club. This is about to change. Firstly - for purpose of comparison, here is my youth squad now and their attributes for my key areas: I have always left the youth training to my assistant but after reading about the kind of difference in intensity youth players can handle, plus the different schedule where they play once a week - I want to see if I can push them any further. Below is a training regime for them whereby we don't use the 'general' training and instead use blocks that will develop attributes suited for my tactical style. There is far too much here - they have four full days with extra sessions and are 'at training' six days a week which I know does not mirror real life for academy teams. It places a bigger emphasis on physical development as well as other modules that I've never seen used within my youth training. I will re-assess this in six months time or so to see if there is an increase in injuries/attributes/training performances. Champions League success. May 2042. Ok. It was the U19 Champions League, but let's not quibble over little things. We beat Lens in the Final and as you can see, 10 of the 11 starters were products of our Academy and there was only 1 other player in our squad who had been purchased. (Both are obviously Basque). I wasn't "managing" the U19's for these games, but you might notice that I did get involve in match day selection against AKA Steiermark. (I didn't know who they were either but it turns out that they are the Academy of Sturm Graz in Austria). We smashed 16 goals past them over 2 legs and then I selected the match day squad for the Borussia Dortmund game too, (where we won 7-1). I should point out here that I prioritised this competition over Senior Ligue 1 games during this stage and the only eligible player who was not dropped was (39b) Xabier (Res) *. I would have done had it been needed, but they simply didn't need the help. Because we were winning so convincingly I took it less seriously and while I intended to pick the match day squads from then on, I always forgot or just couldn't be bothered. We needed penalties to to get past Monaco, and a late GK goal to get past Bayern, but other than that it was pretty plain sailing. I love this little competition. Something else you might notice is that (40p) Bengoetxea. (Amb) scored some important goals along the way. As you can tell by his nickname, he came through rock bottom of the 2040 intake. The dot after his nickname indicates that he is NOT good enough to be signed to a Pro contract, (or at least a long-term playing contract), but he still has his value. If I am going to play a save like this then I can't just keep the best players and discard the rest. [Edit] I just wanted to expand upon this point actually. A lot of people have commented in the past that they never seem to win this competition with big clubs, yet I am able to win it with a little club and even doing so while using the IR button. This player is a perfect example of why I can and they can't. This bloke came through completely bottom of the 2040 intake. (It's about a third of the way down page 19 if anyone wants to go and have a look). He actually got a mention because not only did he have a famous surname, (the famous Bengoetxea I was thinking of was actually Pablo Bengoechea from Uruguay but let's ignore that for a moment), but there was also a chance of him being a twin or brother because I had 2 of them in the same intake. Unfortunately (40m) and (40p) were not related. So he's not good in the grand scheme of things. He's not going to be offered a pro contract and the reality is that he's probably never even going to be good enough for the Reserves. The thing is though, while other strikers who are good enough can step up and play for the Seniors or the Reserves or go on International duty, this lad is going to be sitting here ready and waiting to step up and score the goals that win us games that we otherwise wouldn't win. If I look at the strikers that have come through recently..... This is a list of all players who can play striker and who were eligible for this seasons U19 Champions League. There are 7 options. (41h) Jon Besnard. (Bal). This bloke is going to be better than, but he's not going to be 1st Team good and isn't as suitable for my purposes right now because (a) he suits a different role, but he's also just not that good now. (41b) Rubén (Bal) *. This bloke is going to be way better than Bengoetxea and is better than him right now. The thing is he has played loads of games this season and he probably started the games that Bengoetxea scored the goals in. He can't play in every game though. Also, because he's going to be decent, he will go straight into the Reserves next season so who will play for the U19's then? (40n) Gabilondo. (Spirit). This bloke is from the same intake as Bengoetxea and despite being better than him, (both in terms of CA and PA rating), still didn't score the important goals that Bengoetxea scored. He played more, scored more, is better in every single way, but where was he when Bengoetxea was sticking the ball in the net to fire us past Bayern & PSG? (39p) Asier Santos (Bal). This bloke is almost exactly the same as Bengoetxea, except he is from the previous intake. The only real difference is his slight preference for a different role. (39i) Jon Villar (Res). This is the bloke who has scored some vital 1st Team goals this season. That he has somehow scored 11 1st Team goal this season is completely ridiculous, (but he has), but if he is in the 1st Team squad, then who is going to score the goals in the U19's. His promotion leaves a gap for others to step into. (39b) Xabier (Res) *. Enough said about this bloke the better. He went straight into the 1st Team as soon as he was old enough and has already scored 26 competitive 1st team goals aged 18. He is never going to be allowed to play for the U19's. To summarise, I think that because a lot of people discard players at the outset who will never make their Senior Squad, their performances at U19 level suffer. This is a perfect example of a rubbish player being key in a campaign. Good morning and Happy Easter to all. This is my first opening post on this forum so I hope it goes well. I’d like to give a brief history before I get right down to what I really want to say. I am a relatively new player and subscriber to the football manager franchise as I only discovered the game on the FM12 instalment, but that does not discount the authenticity of what I hope to convey. I still recall how much I struggled when I started playing, and how bullish I was in not asking for help from others. when I finally did, I only got more confused as things I was told either did not make sense or were just downright contradictory. I sought to find a logical way to play the game that follows both the rules of the game and real life football, and I believe I have found it. My way is unique, but logical. I feel that if you give it and these posts your attention and an open mind you too would find that it does. I would also like to state that my way is all or nothing, by that I mean if you choose to accept my methods they all have to be followed to the tee to get the best results possible, however, I also accept that trial and error and putting a whole bunch of instructions that you’re not sure how they work also works (to an extent), because for most people this method would easily be seen through by the opposition leading to the ‘second half of the season syndrome’, so I will not discredit it. I hope to make many more such posts in the future, as such I would like to introduce my use of ‘levels of significance’ (not to be confused with level of significance in statistics) classification in this and subsequent posts. In the body of this post, I will attribute three levels of significance to statements that I make that in turn confer a level of certainty of fact to the statements made. The three levels are: A; being an almost fact, B; meaning very likely but requires more experimentation, and C; meaning a hypothesis. I hope that using this method would clarify the amount of confidence I have in the statements, as honestly I don’t know it all. The letter would be placed at the end of the sentence (not the beginning), in capital letters and emboldened for ease of recognition, and the statement it refers to would be italicized. Now to get into it. The first thing I would like to address is transitions. Transitions have become more important in this years edition (fm19), as opposed to the previous years, however, this post and the parts that it addresses may not be of much use to this year’s edition. There are two basic types of transitions; Transition to attack (when the team wins the ball) and Transition to defence (when the team loses the ball). Understanding these two transitions helps to understand Shape as a term. The exact duration of these transitions is a mystery to me, however, if I were to hazard a guess I would say it lasts till the team gets back into either attacking or defending shape. Transition to attack has to do with the individual actions performed by the players when the ball is won. I would like to start with the player who won possession of the ball, and speak in football manager terms while describing an active counter (not holding shape after winning the ball) as I feel it would illustrate my point better. This player could be a player on support, defence or attack duty, but their action after winning the ball and the actions of the players around them differ slightly depending on who exactly it is that has won possession. This is also affected by the mentality that you are playing the game on as player actions vary greatly when on different mentalities.A. Right now, I will just use an imaginary mentality called wolf (this mentality does not exist and is just named for the sake of this post as I do not wish to go into detail about how the different mentalities affect the different duties). The player who has won the ball in this mentality has a few choices: kick the ball to thy kingdom come, keep hold of it and drive to the opposition goal, and make a pass. The one he chooses depends on what he is asked to do by his role and his duty. If a playmaker (and I use this term loosely to describe players that like to take more risk in their passing) wins the ball, he is more likely to want to make that killer pass to players up the field who can get the ball in dangerous areas. If a no no-nonsense center-back gets it, he is more likely to take no risk and either give it to the nearest player or hoof it. All these depend on the role and duty. Next, are the players that go back into their defensive shape when the team is in the transition to attack. These players are most likely those on a defend duty as they are not really ACTIVELY involved in the attacking phase in most ‘shapes’. Then there are the players that either go towards the ball or follow closely to either receive it or to be in a position to create space for someone else’s run. These players are most likely the players on support duty, they aim to support the attack by running with the ball, coming deep to receive it and pass again or follow closely to catch a break down in play and continue the attack. There are a few exceptions to this, for example; roles like the Trequerista which can only be found on attack duty but behaves on the counter like a player on support duty. A player on this role will get into the box for a cross, but look to make fewer forward runs rather preferring to roam and look for the ball to make a killer pass. I have to make it clear that this describes the TRQ role in the AMC slot, and the movement into the channels doesn’t qualify as forward runs in that case (I will explain further in subsequent posts). Then finally, the players that are bombing forward to receive said pass. These players are most likely on attack duty, and as always there are exceptions to this. To list a few: wing back on support, TRQ as mentioned earlier, Mezzalla on support. This in part would describe why a good counter tactic works better if the players on attack duty (that make forward runs) are placed up the field, this way they are on their motor when the ball is won.A The reverse would be the case when the ball is lost, that is, the second transition; Transition to defence. Some players move to win the ball, these are most likely players on support duty as they were closely following and are around the ball when it was lost. Some players get into defensive shape to either intercept or mark player from the opposition team that are making forward runs; These players are most likely players on defensive duties as they were already in the defensive shape when the ball is lost. Finally, the players who were either high up the field or are burdened with less defensive responsibility who come back to take their shape and also look for space without the ball in preparation to move when it is won; These players are most likely on an attack duty. There are exceptions to these just as described in the first transition but I will not go into detail as this post is getting long (and this is just the first part). Everything I have said so far could probably be described as abstract as it doesn’t help much in decision making in football manager, so I will simplify it. For most teams, and most shapes, it could be said that the transition phase is governed mainly by the support duty players.B. Defend duty and attack duty players contribute as well, however, by the time the ball gets to a player on an attack duty that phase can already be described as an attacking phase of play, and the defensive duty players prefer to pass to support duty player instead of affecting the play themselves (with obvious exceptions). This by no means takes away from the other duties, I have made this distinction not just for simplicity sake but also because it hold some truth. That being said, I can go onto the next topic; the elusive SHAPE. Shape, to me, is not just a thing that you overlay over on your tactic to change the way it plays, it is not just about controlling passing freedom and individual player mentalities, it is the backbone on which a formation is built. It is that which dictates which phase of play is done by players in each strata of the formation, and to what extent it can be done. In simple terms, it can be described as the bowl that holds the water, without it the water would lose ‘shape’ and become a formless blob. I cannot for the life of me understand why something so important could be removed form this years edition, but I can accept it because it brought about a lot of controversy. There are five shapes to choose from, I feel like there are probably more in real life but in game I think it was done that way to simplify them all. The five are: very structured, structured, flexible, fluid, and very fluid. In truth, the in-game description of these shape is what I will be using to explain shape, nothing more. I will also not be talking about the relationship between shape and mentality in this post as it would just go on for hours (and hours). Very structured: below is the in-game description of the shape. Using basic substitution (jutsu), assuming that transition is done chiefly by support duty players, the shape can be described as follows: defenders are responsible for the defensive phase as such they can only be on defensive duty (as such anyone in the defensive stratum of the field must be on defensive duty as any other duty would lead to them performing another phase of play). Mid-fielders are responsible for the transition phase, as such the mid-fielders must be on support duty, any other duty and they would be performing another phase of play which the role explicitly does not allow (in the beginning it says that the players contribute to just one phase). This applies to all the three midfield stratum. The forwards are responsible only for the attacking phase, as such the strikers can only be on attack duty, whatever the role you choose. So imagine a 4-4-2 with the defenders on defend duty, mid-fielders on support duty and attackers on attack duty. This is the ultimate in ‘do your own and others will do their own, don’t do another person’s own’. Structured shape has a bit of leeway, the CENTRAL DEFENDERS (be it two or three) are responsible for defensive phase only (as such can only be on defend duty). the full backs and more defensive mid-fielders( this could be an out and out defensive mid-fielder or a more defensive central mid-fielder) are responsible for both defence and transition. As such you can put any combination of defensive or supporting roles in these positions. An attacking duty would not make it in, doing that would be like trying to stuff a round bowl of water into a cuboidal shape of equal volume. Wingers and more attacking midfielder (this could be an out and out attacking midfielder or a more attacking central midfielder) are responsible for both attacking and transition phase, as such only support and attacking duties can fit in these positions. Putting a defend duty in the winger slot( this slot being the wide position of the central midfield stratum or the wide position of the AM stratum), would not work (again round bowl, cuboidal hole…). Finally, we have the last one, forwards are responsible for only the attacking phase as such the forwards can only have an attacking duty. As you can discern from this shape, you are given more freedom in ascribing duties to positions on the field. Following that trend I feel you can guess what Flexible is; Defenders and more defensive mid-fielders are responsible for the transition and defensive phase, as such you can distribute these duties however you see fit in these positions. The forwards and more attacking mid-fielders are responsible for the attacking and transition phase, as such you can put attack and support duties in these positions. Alas, using the very basic description you can set up your flexible exactly the same way as the structured, so how then do you tell the difference, simple, the difference comes in the striker position and the central defender positions. If the striker is on a support duty and everything else is the same, that is a flexible shape, if the striker is on attack duty and everything else is the same, that is a structured shape. If the central defender is on support duty, then the shape is flexible. However, central defenders don’t come in support duties (except the libero which only appears in the central defensive position in FM 19 when shape was removed), and till today I am not certain if the sweeper position is considered central defence. Fluid shape, is a mess, a good mess that is. It talks about defensive and attacking units, and everyone moving into the transition phase when the time is right. This shape basically allows you to put attacking players in defensive positions but does not demand it. It allows you almost complete freedom to put what you wish where you wish it, as long as the roles work with each other and you can achieve defensive stability as well as attacking cutting edge, since all the players would move into the transition phase where necessary. In short, this is the shape most people use, and also the least understood (I don’t fully understand it either). Very fluid does similar, but is a slightly more extreme and demanding shape. It insists that the strikers be able to defend and the defenders be able to attack. That translates to the forwards needing to be on defensive duties and the defensive players, where applicable, be on attacking duty. The striker on defensive duty is the main distinction between the very fluid and fluid, that and the fact that the attacking players not only move into the transition phase where necessary but also into the defensive phase. It asks all to do all. If you have followed this to the end, you would have noticed that moving from very structured to very fluid, the number of attacking duties you can put in the team without going against your ascribed shape increases as you progress to very fluid, and this forms the basis of the relationship between shape and mentality (a story for another day). Hence, I have come to the end of my post. I hope I have been able to properly explain myself and not confuse anyone in the process. 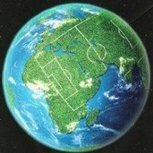 It goes without saying that this post is mainly for those still playing FM18 and below because of the changes made to 19. Thank you for your attention, please feel free to ask questions and critique my post. October/November 2038 Much better on paper, but just as dour on the pitch. We are wasteful in front of goal and struggle to create a build up against ten defenders. I need to properly look at my plans moving forward. On the plus side, Benfica are well of the pace, and, even if Porto win their games in hand - we will sit with a small advantage at the top of the table.